Fun Filled Festivities for Your Irish Vacation! You don’t have to be Irish or have Irish roots to appreciate the world famous hospitality and humor of the Irish people. As an Irish American with family in County Mayo and Tyrone, I’ve had more opportunities than most folks to experience these cultural traits first hand. Having traveled to Ireland many times, I’m convinced that the goal of the Irish is to make their visitors feel relaxed and have good “craic” -which means to have a good time and enjoy the company of others. This observation, which seems to be corroborated by every visitor that has returned from Ireland, is a reflection of an overall Irish attitude that wants to make things festive and share a laugh. For example, if you can get a group of people to walk up and down hills for hours and call it a festival, you must have a good sense of humor! Irish Walking Festivals are offered every month throughout Ireland. In this month of June alone, you can find at least a half of dozen Walking Festivals. The Mourne International Walking Festival, June 28–30, takes place in the Mourne Mountains, Co Down, Northern Ireland. The festival not only offers excellent walking but also a great chance to socialize with other walkers. The highlight of the weekend is the Blister Ball held in Warrenpoint. See, it’s not just ‘let’s go for a hike’ as we say in the States, it’s ‘let’s get some folks together who want to get a little exercise and see the sights, and have a FESTIVAL! If you understand, now you’ve got the Irish spirit! Apparently, this Irish attitude of having a laugh at life and yourself has been around for at least 400 years. This can be documented through the Puck Fair, held in Killoglin in the heart of County Kerry. Ireland’s oldest festival, Puck Fair will celebrate its 400th annual event August 9-12. Unique to the world, the event revolves around locals catching a wild mountain goat and making him King of the town for 3 days and nights. There is also a parade and a crowning ceremony where the Queen of Puck, traditionally a local school girl, crowns the goat King of the town. The Town Center will be jumping with free family entertainment and will include music, dance, street vendors and a spectacular fireworks display on closing night. To commemorate their 400th anniversary, the locals have added an extra day to the normally 3 day event, to now make 4 holidays – one day for each century – and why not! Wherever the Irish gather to walk, talk, read, ride, paint, or play, it’s about sharing a laugh and good ‘craic.’ You can be a part of the camaraderie this summer -there’s never been a better year to visit Ireland! Below are a just a few festivals happening in Ireland this summer, and hundreds more at Ireland.com. Visit the peaceful River Moy during the Ballina Salmon Festival July 7-13; The Carlingford Oyster Festival takes place Aug 8 -11 in Carlingford, Co. Louth- advertisements for the extended weekend of family fun advise that a ‘sense of humor is essential.’… In preparation for the World Police and Fire Games that will be held in Belfast Aug 1-10, Dungannon, Co. Armagh will host Everyday Heroes on Jun 16, at the Argory Museum, an Irish gentry house surrounded by a 320-acre wooded riverside estate. Come dressed in your favorite hero costume – a fireman, police woman, doctor, nurse, detective or superhero; Spraoi, pronounced spree, is the Irish word for fun, exuberance and celebration, which will be on tap when Waterford hosts over 200 street theater and music performances Aug 2 -4; This year’s Taste of Donegal Food Festival, Aug 23-25, present cookery classes, exhibitors showcasing their food and products; The Rose of Tralee International Festival brings thousands of people together to celebrate Irish heritage in Tralee, Co Kerry. Aug 14-16; Time to dance polkas and slides and revel in the unique culture and heritage of Sliabh Luachra at the East Kerry Roots Festival Jul 25 Aug 28; The Life of Reilly Festival in Cavan Augt 20 -26 will focus on Celtic music and culture from around the world and activities for diaspora with Cavan roots; Dingle Tradfest, on the southwest point of Ireland, will focus on all forms of Irish and folk music with a specific interest in fusion music Sept 12 -15; Pucker your lips for the Lisdoonvarna Matchmaking Festival in Clare, August 30 – Sept 30.…I’m still enjoying a piece of art on my wall that I brought back from Clifden years ago. 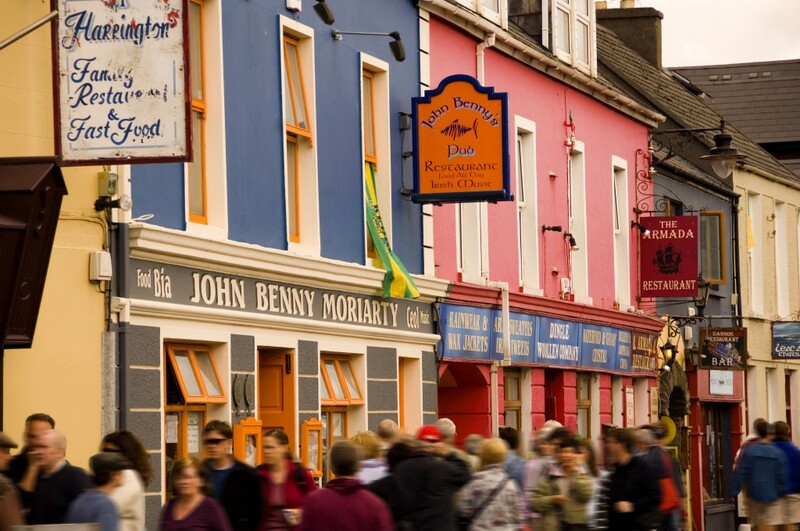 The lovely little artisan town on the West Coast of Co. Galway will host its 36th straight Arts Festival September 19-29; Slieve Bloom Storytelling Festival meanders over the lush landscapes Co. Ofally and Co. Laois, Oct 9-12; Be a part of history Aug 11-18, when Fleadh Cheoil na hÉireann (Festival of Music in Ireland) crosses the border for the first time to Derry~Londonderry in Northern Ireland. There has been an enormous effort by the Irish tourism industry and Irish people to give you the opportunity to have your own unique Irish experience and lasting memory. If you’re ready for an epic good time, head to Ireland this summer. Irish hospitality and “good craic” await you. The Special Boy is the compelling tale of a tragically orphaned Irish lad born in the strife ridden Belfast of the early 1950’s. Spirited away to the safety of a sleepy Indiana town, young Conor touches everyone he meets with a mystical power that harkens back to Celtic legends. Danger, mystery and tragedy follow him to his new home. Shaped by his mysterious gifts and the hardships he has endured, Conor continues to inspire those around him as the anti-war movement of the late 1960’s begins to define America. 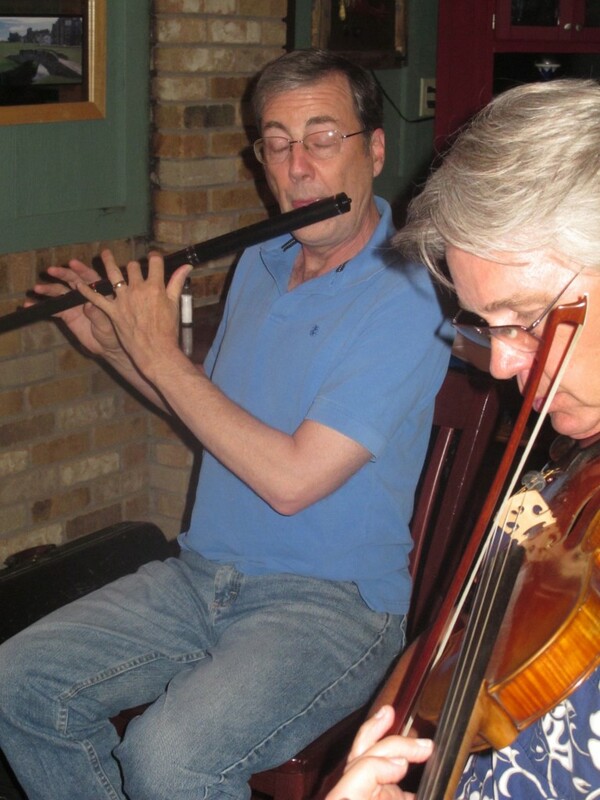 Ron Radford was immersed at an early age in the Celtic tradition of oral storytelling. He brings that lyrical cadence and color to his writing. The Special Boy is best read aloud. The Special Boy is the author’s third book and his first novel. 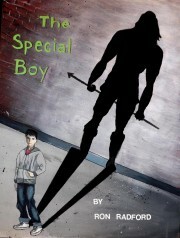 The Special Boy, is available online at Amazon and Barnes and Noble websites. The Emporium, the best of Ireland – and Colorado! Idaho Springs, Colorado was founded in 1859 by prospectors during the early days of the Pike’s Peak Gold Rush. During the late twentieth century, the town evolved into a tourist center. The Argo Gold Mine and Mill in Idaho Springs reflects the evolution of the town, from it’s necessary function to help process ore from the mining district to its present day role as a tourist attraction and status on the National Register of Historic Places. The huge maroon colored structure can easily be seen from I-70 as you travel west from Denver (about 30 minutes). There are many more historic buildings in the 19th century mining town with many fun shops and restaurants. 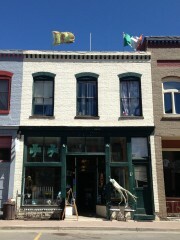 One of the oldest (1879) commercial buildings still standing in Idaho Springs houses the Emporium Irish Store. The structure located at 1620 Miners Street has served many functions over the years including a liquor store, newspaper office, Wells Fargo gift shop, and meat market (You can still see huge hooks in ceiling). Now when you walk through the front door you will see the latest Irish/Celtic imports from Ireland, Scotland, England, and Wales, and works from some of the finest craftsmen in the USA. Mary Ann Dalpes, the owner of the Emporium, recently traveled with store employees (many who are family members) to the Ireland Show in Secaucus, New Jersey. They picked from some of the best authentic Celtic giftware to put on display back home at the Emporium. Customers can now browse fantastic merchandise and pick out a wonderful variety of items— Best-selling knitwear, baby items, Irish linens, fragrances, traditional Irish arts and fabulous jewelry -or check out the whimsical, brightly designed aprons, tea towels to accompany your Barry’s Tea and Irish candies – Design your next dinner with cookbooks from the Cake Café, in Dublin, and SO much more! 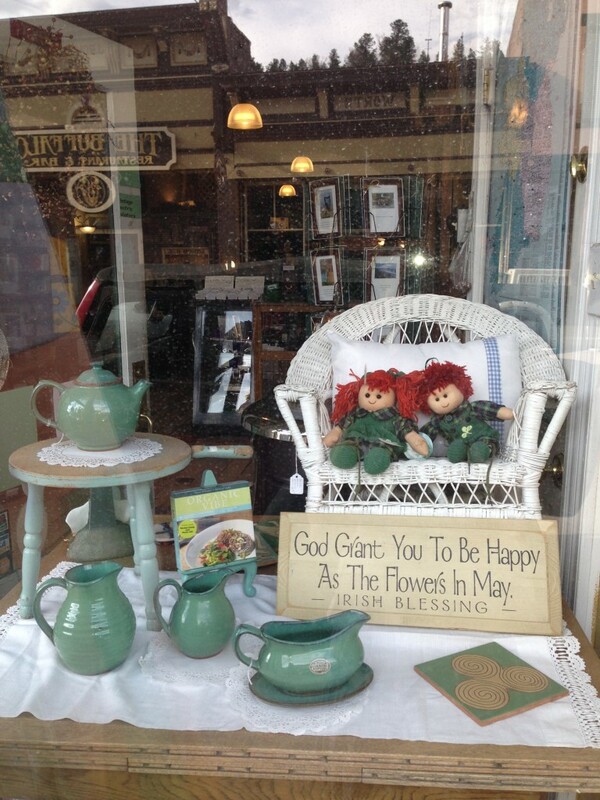 “I could have named the store the Irish dresser,” joked Mary Ann, “because it has so many one of a kind and diverse selection of gifts items”. A stroll around the Emporium and you’ll see that it was properly named. A definition of ‘emporium’ is “a store carrying many different kinds of merchandise” Not only does the Emporium have great Irish and Celtic wares, they also carry many other unique gift items and antiques reflecting Colorado’s mining and pioneer history. “There are hidden treasures in the back room,” said Mary Ann’s husband Daniel, “histories of Clear Creek, Georgetown, Central City, Black Hawk, Colorado books, music, mining maps and memorabilia… It might look like a museum, but this stuff is for sale! The Emporium has evolved into a destination Irish Celtic Shop with visitors from all parts of Colorado as well as annual skiers and vacationers from other states and countries -including Ireland. Many repeat customers make it a point to stop at the Emporium as part of their yearly vacation plans. Frequently guests comment on the peaceful, friendly and eclectic nature of the shop. Enjoy Idaho Springs and the Emporium this summer – you’ll be impressed! The Emporium, 1620 Miner Street, Idaho Springs, CO. Store hours are 10am to 5pm, 7 days a week. Call 303-567-1151 with any questions. A few events in Idaho Springs this summer: Farmer’s Market Every Friday at Courtney Ryley Cooper Park (May 31- Sept. 13); Lyle Wohlers Horseshoe Tournament Idaho Springs Elks Club June 22; Clear Creek RapidGrass July 5-6; 25th Annual Triple Bypass July 13-14; Blues in the Canyon Aug 10; Dynamite Days August 24; Flaming Foliage Relay Sept. 13; Rocky Mountain Chili Cook-off Sept 21. The sounds of lively reels, jigs, and hornpipes can now be heard at the Burns Pub in Broomfield, Colorado. Veteran Irish musicians invite you to listen to their acoustic music session or even jump up to show off your footwork if you’re so inspired. Although it’s not unusual for a few Irish dancers to show up, most patrons come to relax in the cozy gathering place and enjoy good food, drink, and conversation. The Burns Pub, at Hilltop Inn & Suites, is another great reason to make plans to visit one of the most unique properties in the Denver/Boulder Metro. 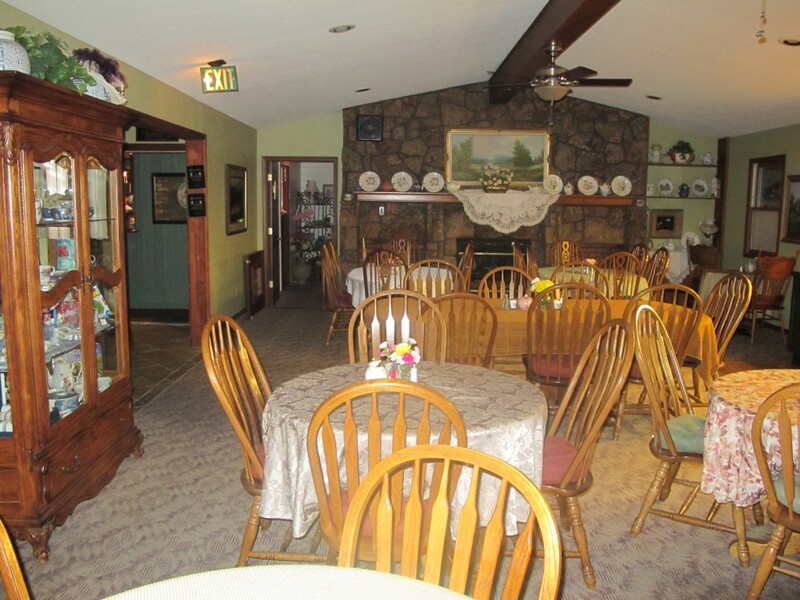 Family owned and run by John and Maureen Odde and son Johnny, the Hilltop Inn and Suites are home to The Burns Pub and the Wildflowers Restaurant. Perfectly situated between downtown Denver and Boulder off U.S. Highway 36, Hilltop Inn and Suites are just minutes away from the Rocky Mountain Metropolitan Airport, business parks, universities, sport and concert venues, and outdoor recreation. Off the beaten path yet close to everything! With views of the Denver skyline and the Rocky Mountains, there are a variety of rooms and Jacuzzi Suites to choose from. All rooms include high-speed internet, fireplace, kitchenette, and satellite television. A delicious complimentary full sized breakfast as well as complimentary snacks and coffee are included in your stay. The homey Wildflowers Restaurant presents authentic and delicious foods from England, Ireland, Scotland and Wales made from fresh ingredients prepared in house. In addition to fantastic daily lunch and dinners, the Wildflowers host occasional special offerings. Their acclaimed ‘Whiskey Dinners’ is available by reservation only. Email info@hilltopandwildflowers.com Burns Pub adto get on the coveted list. High Teas and Luncheons are also by reservation only. Hosted by Maureen Odde, originally from Northampton, England, these premiere events include assorted premium U.K. and loose leaf teas, homemade scones and Devonshire cream and delectable savory sandwiches and desserts. The Burns pub is the most recent addition to Hilltop. The Oddes opened the extension in August of 2011, with the assistance of the then Miss America, Teresa Scanlan (who stayed 3 nights at the Inn). 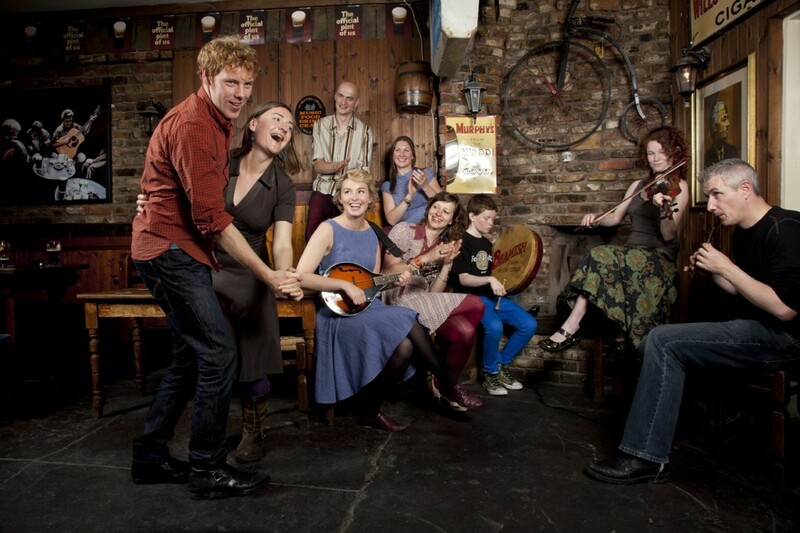 The live Irish music session was introduced this year. Patterned after the kind of UK ‘Public House’ that makes you feel welcome your first step through the door, The Burns Pub has a tempting list of wines, ales, lagers that would suit most tastes, and a massive “Whisk(e)y List” that would please anyone! Add a menu offering the world’s favorite ‘Pub Grub’ prepared at the Wildflowers Restaurant across the hall and you have a destination worth the travel. So mark a date on the calendar and get yourself a seat at one of the most relaxing pubs west of the Atlantic ocean. CELTIC WOMAN at Red Rocks Amphitheatre on Sunday, June 9. The enchanting Irish musical ensemble Celtic Woman returns to America for an expansive four-month concert tour, beginning on February 21 in Worcester, MA and following on the heels of the group’s sold-out Christmas Celebration tour. In addition, Celtic Woman was recently named Billboard Magazine’s #1 World Music Artist in their year-end issue. 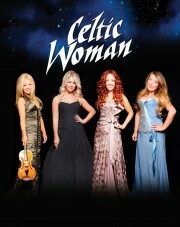 For completed tour schedule and ticket information, visit http://www.celticwoman.com/. In celebration of Celtic Woman’s return to Red Rocks, Colorado Public Television (CPT-12) will broadcast BELIEVE, the group’s recent live concert special, on Thursday, February 14th at 7:00pm with a repeat broadcast at 9:00pm. BELIEVE was filmed during two sold-out performances at the majestic Fox Theatre in Atlanta, GA and stars vocalists Chloë Agnew, Lisa Kelly, Lisa Lambe and Celtic violinist Máiréad Nesbitt, under the distinct musical direction of Emmy-nominated musical director, David Downes. Visit http://www.cpt12.org/ for more info. Since its formation in 2004, Celtic Woman has emerged as both a spectacular commercial success and a global cultural phenomenon. The group’s uplifting mix of timeless tradition and contemporary craft has transcended national and cultural borders to touch the hearts of a devoted international fan base. The fans have embraced Celtic Woman’s hugely successful Public Television specials and made their CDs and DVDs into multi-platinum best-sellers. The group’s albums have sold more than seven million copies around the world. Like all of their albums, Celtic Woman’s two 2012 releases, the acclaimed Believe CD/DVD and the holiday-themed CD Home For Christmas, both debuted at #1 on Billboard’s World Music chart — marking eight consecutive chart-topping albums for the group. Having sold nearly 3 million concert tickets worldwide, Celtic Woman has won a dedicated and loyal audience in America, where their elaborately staged, visually stunning concert tours consistently draw sellout crowds. Singing songs of love, loss, hope and inspiration, Celtic Woman celebrates the emotional resonance of Ireland’s centuries-old musical and cultural heritage while taking advantage of the limitless options of state-of-the-art production. The result is a breathtaking musical and theatrical experience to be enjoyed by multiple generations of concert goers. TICKETS ON SALE at the Fillmore Auditorium Box Office, online at www.ticketmaster.com or call 800-745-3000. Tickets are $110.00, $65.00 & $40.00 RES and $25.00 GA plus applicable service charges. There are decisions to be made when you enter the Celtic Tavern at 18th & Blake in Lower Downtown Denver (LoDo); Donegal Fish & Chips vs. Scottish Salmon Filet, London Broil vs. Sirloin, Guinness vs. Murphy’s, Jameson vs. Bushmill, and so on and so on.. Now you can add one more decision – What horse do I bet on? Off Track Betting (OTB) is now available at the “Celtic” starting at 10.30 am ( 8 am on special race days) on horses, greyhound, or harness racing. Betting is not mandatory, but it is hard not to get excited and involved like the other betters when you are surrounded by 35 TVs covering races from around the country. Live tellers are on hand to help you place your bets or if you prefer, use one of the automated machines. If you enjoy a smoke with your drink, head into sister pub Delaney’s which adjoins the “Celtic.” Delaney’s also accommodates off track betting. They are the only facility in Colorado where you can enjoy a pint, a bet and a cigar all at the same time. 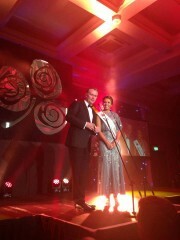 2013 Rose of Tralee Regional Finals May 29-June 2. By all accounts she was a fantastic representative for the greater Denver Irish Community. family who supported Jessica’s effort that made us proud! Irelands Tanaiste and Minister for Foreign Affairs Eamon Gilmore has described the Rose of Tralee as one of the great Festivals of Ireland that mobilizes the entire Irish Diaspora around the world. Gilmore officially welcomed Jessica and the other 60 Roses from all over the world to the Rose of Tralee Regional Festival which took place in Portlaoise, Co Laois. The Tanaiste says each Rose plays a key ambassadorial role in promoting Irish tourism to a worldwide audience. The Rose of Tralee International Festival is one of Ireland’s largest and longest running festivals. It is based around the selection of the Rose of Tralee, an international event that encompasses young women of Irish descent from Ireland and around the world. Jessica returns to Colorado as the reigning 2013 Denver St. Patrick’s Parade Queen Colleen to work in the Irish Community. When the producers of Riverdance were looking for dancers- Irish, Latin Flamenco, Afro Cuban and Street, for their new dance stage spectacular ‘Heartbeat of Home(HOH),’ they decided to incorporate social media into the project. This past April HOH gave a shout out to the world with an online talent search that asked dancers to record a dance audition and download it to HeartbestofHome.com. In addition to HOH judges, everyone was invited to go online to watch the videos and vote for their favorites through April 26. Denver native Blaine Donovan made his audition video in the Celtic Steps studio where he teaches. 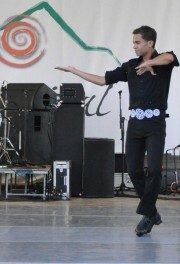 He gave a brief introduction and 90 seconds of strong Irish Dance. Apparently the HOH judges liked what they saw because on April 29th Blaine was picked in the first ‘Judges Choice’ announcement and was offered a trip to Ireland in May to continue the audition process, with the goal of joining the cast of HOH for the premiere at The Bord Gáis Energy Theatre, Dublin, to run 3 weeks in September – October 2013.